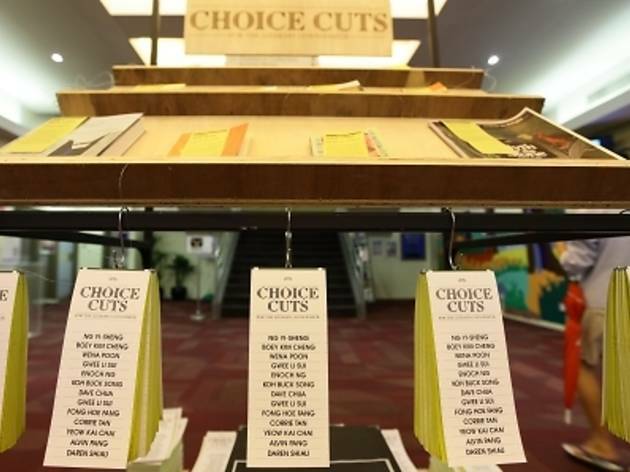 Presented by Amanda Lee and Winnie Goh – who together form the design collective studioKALEIDO – 'Choice Cuts' features a series of original texts by Singaporean authors and industry professionals based on local literary works that have inspired them. 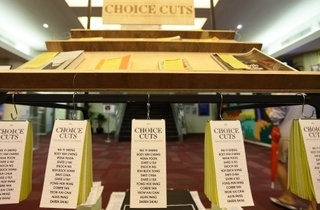 The public is invited to modify the texts and rearrange the artwork according to their interpretation. Participating authors include Daren Shiau, Gwee Li Sui, Enoch Ng, Alvin Pang and eight others. The event is part of Project LAVA, an initiative by the National Arts Council that aims to engage audiences through visual art installations inspired by literary works.